The Senate Joint Committee on Customs, Excise and Tariff and Marine Transport probing alleged sharp practices by Nigerian companies in the maritime sector said on Wednesday that some firms caught in the scandal had admitted wrongdoing. However, Hope Uzodinma, chairman of the committee who made the disclosure to reporters, withheld the names of the companies citing volatility of the stock markets and the consequences of such disclosure on investors’ confidence. “Some of the companies that appeared before us today have also committed to our success by way of making some admissions here and there,” Mr. Uzodinma said. The statement came shortly after the committee met with about a dozen companies as part of the investigation Wednesday. 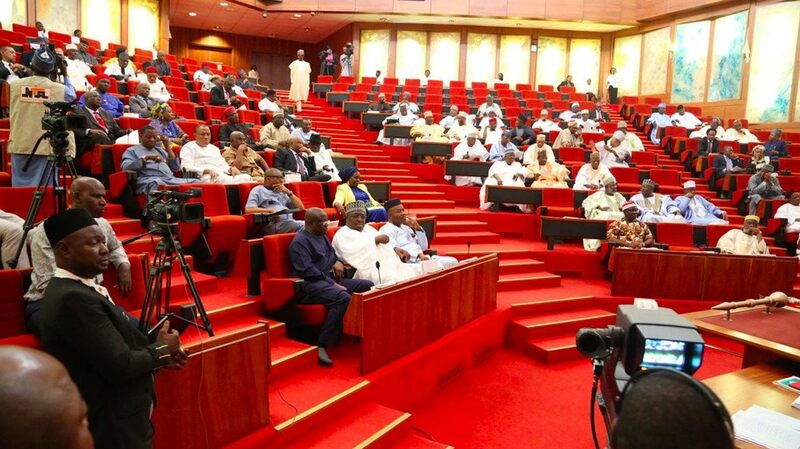 The Senate says it’s investigating at least 63 companies believed to have participated in questionable financial dealings that saw Nigeria lose up to N30 trillion naira in potential revenue. The companies that met with the committee on Wednesday included: Dana Group, China Export, Emel Group, Halliburton, Bhojson Plc, Bharat Ventures Ltd, BUA International Ltd, Friesland Campina, Boulos Group, CFAO Group and British American Tobacco Company. Mr. Uzodinma said his committee resolved to meet with the companies and take their testimonies separately to save them from compromising each other’s trade and competition secrets. He warned the companies to take the probe seriously as the committee would not waste time in punishing any firms that defy the exercise. Last week, the committee ordered the arrests of some executives of some of the companies listed in the probe for allegedly shunning invitations. Nigerian import and export chain has been dogged by complaints of corruption for years, which prompted the current leadership of the Nigerian Ports Authority to kick off investigations into sundry allegations across the sector. Scores of companies have been identified as having short-changed Nigeria through various illicit means, including fictitious dredging, tax evasion and racketeering. Niger Global Engineering and Technical Company Limited, owned by Mr. Uzodinma himself, was caught in the scandal as receiving up to $12.5 million from taxpayers’ money without delivering on a dredging contract award in Calabar channel. Notwithstanding, the senator assured that his committee would be thorough in scrutinising the activities of the companies under Senate probe with a view to recouping lost revenue and bringing closure to all uncovered cases of fraud. The Wednesday meeting was restricted to only the companies under probe as the Senate shut out the media, citing the need to protect the trade companies’ trade secrets. As Wednesday’s session held behind closed-doors, it raised concerns about the integrity of the probe. But this, Mr. Uzodinma said, was in cooperation with some of the companies that requested closed-door session as so not to disclose their trade secrets. “In order not to breach the secrecy that has to do with their business modules, we agreed to their terms because our interest is to achieve results,” said Mr. Uzodinma. He stated further: “It became very necessary for us to speak to you this afternoon because as you must have observed, we now decided to take the companies one after the other rather than the general group thing. Last week, the committee asked the Police to arrest CEOs of the 30 companies who had refused to appear, after 33 of the 63 companies did appear. However, Mr. Uzodinma said, on Wednesday, all the companies had cooperated with his committee. He said: “Initially some of these agencies of government and some private companies were reluctant in attending or honouring Senate invitation. With the threat and the support of the Police, they have all responded. We have seen 11 of them today and we will continue until we have exhausted all the companies.